I just got an email tonight from “Manager Joshua Wagner” at FedEx saying they tried to deliver my package but I wasn’t home. They said, “to receive your parcel, please, print this receipt and go to the nearest office.” Then there’s a big button that says, “Print Receipt.” The whole thing looks very official, with real FedEx logos and everything. 1. First I noted the fact that I am not expecting a package. 2. I know we were home when the email said that they tried to deliver the package. Moral of the story: DON’T open emails from people you don’t know, DON’T click on links to known companies you get in email (go directly to their main website instead), and ALWAYS be cautious when opening anything in email. This entry was posted in computer, technology. Bookmark the permalink. like wise i kept on getting this fake fedex emails and it for some reason dont stop even if i have blocked the sender. At first i was little confused when the email arrive at my work email id and i thought may be some client has sent me and for my bad luck i was expecting a package. But when i read your post it help me save my computer and files for getting virus infected..
What you will be looking at will be a plain text version of not only the email, (that will include the email header – ie ALL of the sender’s information as provided – sender info can be spoofed), and who all they sent that email to. The body of the message will be there also. You’ll also want to close the “View” window in your email client (the little “preview” window) because I understand that that actually OPENS the email… something that you do NOT want to happen until you approve of the message. Just for grins and giggles, do the above on an email that you trust and see what you get. If the name seems familiar, and you think it may be someone sending you a picture, you may want to send an email to the return address (do NOT “reply” as this would open the email.) and ask what they sent you. I prevented getting a worm that way as when I sent the email the person replied that they hadn’t sent me anything… heh heh heh. I got an email today from an unknown (to me) sender with no subject text. I put it through the above process and learned that the two large blocks of code were in “Base 64”. (IIRC that would be from an advanced 64 bit computer. Again, IIRC, my computer “claims” base 64, but is actually 32 + 32). It could have been a couple of pictures… but better safe than sorry. I deleted the message. 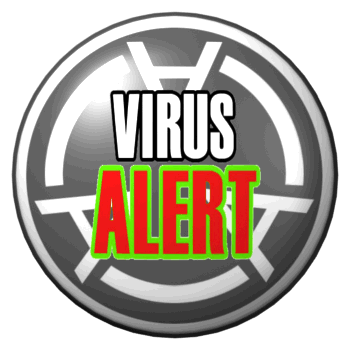 I have AVG (free) anti-virus and Malwarebytes malware protection programs. Looked this up online and viola! I was able to read your post. Glad I am not the only one and hope others won’t fall for this or any other fake emails from well known companies. If you knew enough to look at the actual email address, then you are two steps ahead of most people. Good on you for not falling for this! Also, since I wrote this post I’ve gotten similar FedEx emails two more times! Funny you say that, I too just received more emails of the FedEx scam and each email address is different but begins with client@ blah blah blah. Well I hope this helps others. Thanks for lie post!